Gary and his family are former owners of Ringger Feed and Ringger Foods in Gridley, Illinois. 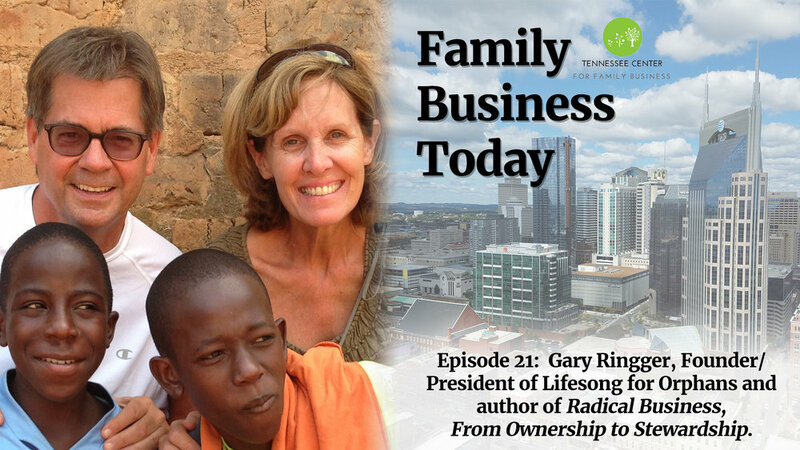 In his book, Radical Business, From Ownership to Stewardship, Radical Business shares how God used a failing business to change Gary Ringger's definition of success - ultimately leading him on a path from that of a business owner to a business steward. It also shares how this journey led to the founding of Lifesong for Orphans, a ministry that serves over 16,000 children worldwide. This book challenges the reader to develop a radical business plan and gives practical advice on how to do so. What was the special contract he entered in to when business wasn’t going well? How did he come to view confrontation as opportunity? What role did fear play in his business decisions & how did he handle that fear? How did he decide the direction he wanted to go after he sold his family business? To learn more about Gary Ringger and Lifesong for Orphans, visit their website at: www.lifesong.org. To purchase Gary’s book, Radical Business, From Ownership to Stewardship, order on line at Amazon or www.Radicalbusiness.co.